I’ve got almost 17″ of the body completed. I’m looking forward to knitting the sleeves since they’ll go along much quicker. I’m adding about an inch and a half to the length, and will be adding some length to the sleeves too. Hubby is going away for a few days on a bird hunting trip. I may have to reluctantly set Aidez aside for those days since it’s the perfect opportunity to knit him some thick warm wool socks for Christmas. 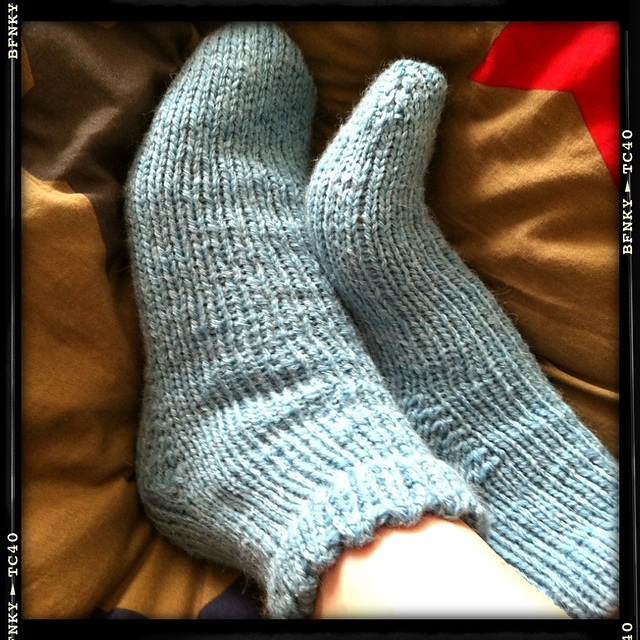 My absolute favourite workhorse wool sock pattern is Liat Gat’s KnitFreedom’s Worsted Weight Sock Pattern – Toe Up/Top Down. 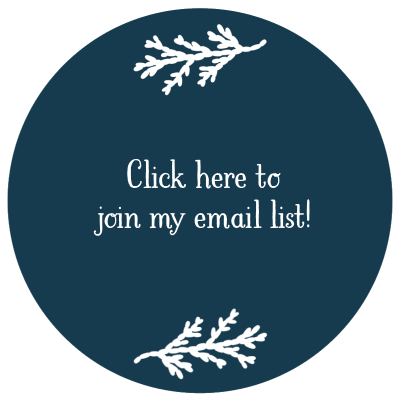 It’s free (after subscribing) and super simple. 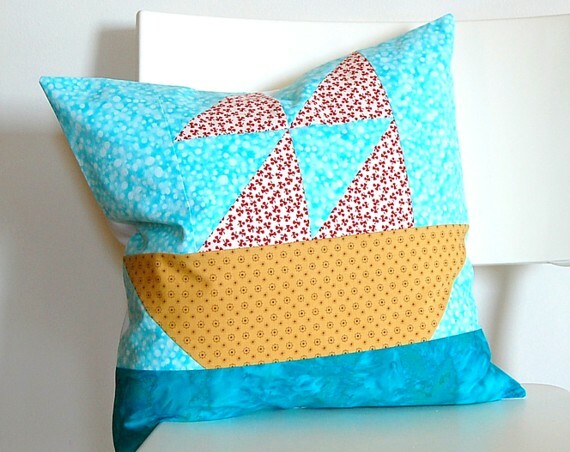 I’ve used other patterns like it, but this one takes the cake. 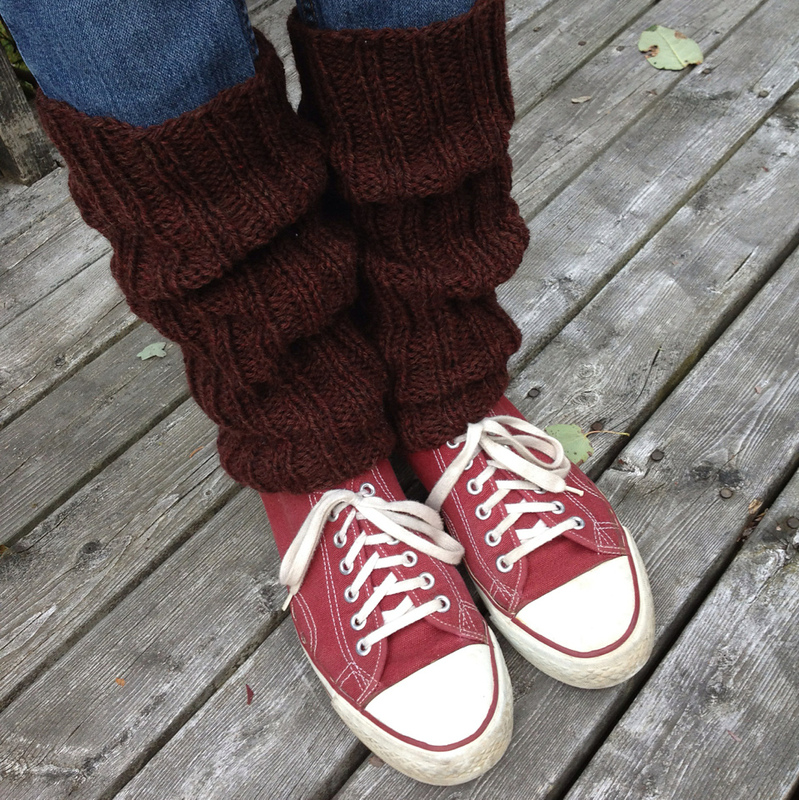 Here’s it’s Ravelry page: Beginner Worsted-Weight Socks for Magic Loop, Toe-Up or Top-Down. Go down the page a bit, for the free download link. Check out RosyRetro’s version here! 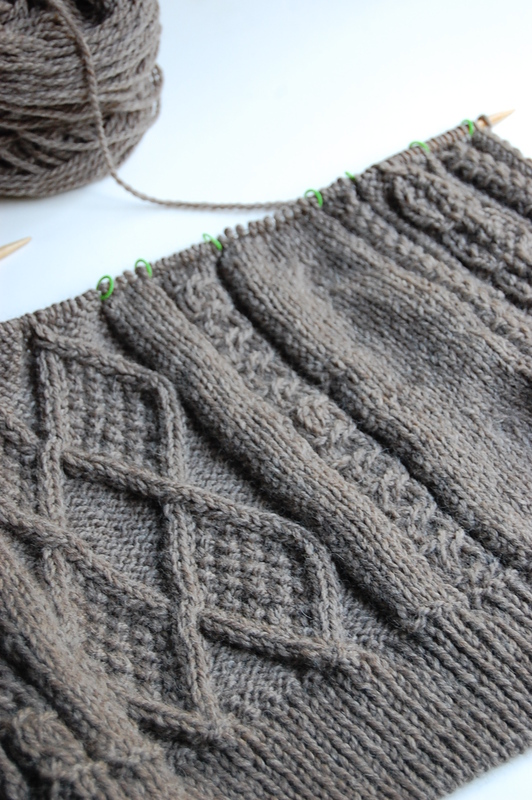 This is just a quick post marking the official beginning of Celtic Cast On’s Aidez knit along! My swatch told me I should go ahead and use the originally called for needle size of 6.5mm. 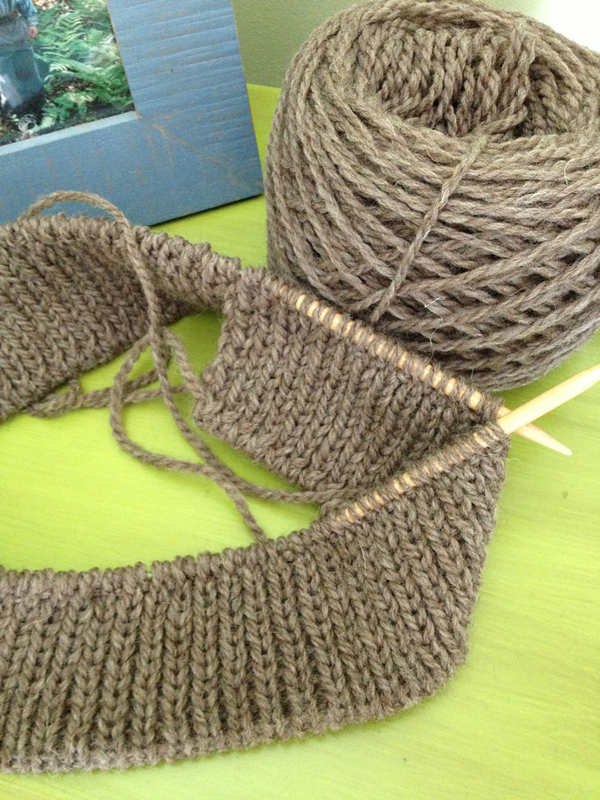 I’m knitting it seamlessly, and used Eunny Jang’s tubular cast on. I’m doing size small (36″) knowing that the patterns runs a little small. I’ve got about 3 more rows to go before starting the fun charts! 5 Comments Aidez KAL begins! 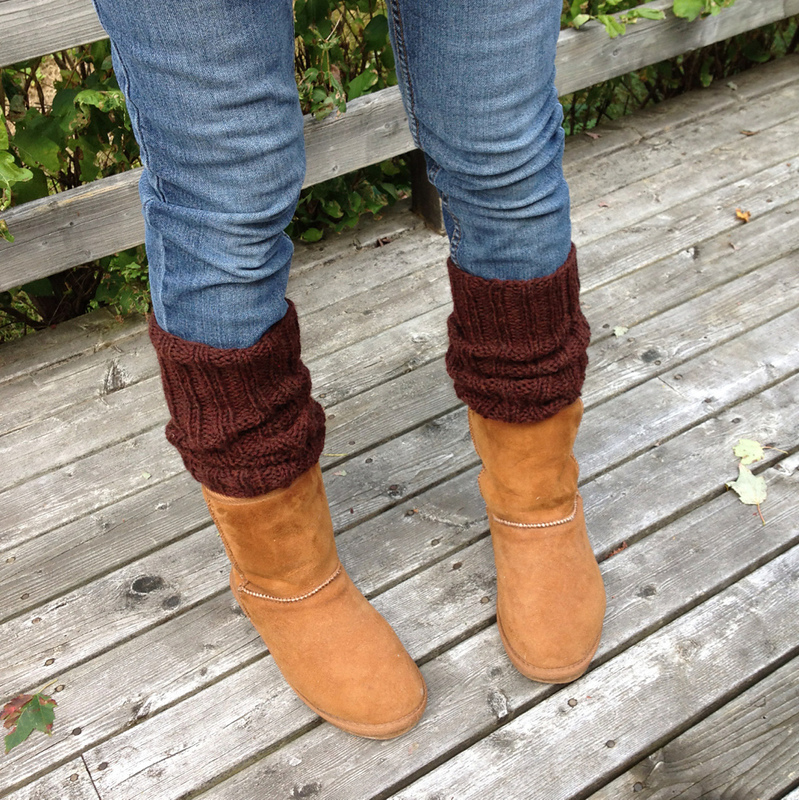 I was curious about having some leg warmers for added warmth this coming winter season, so I knit up a pair of Jane Richmond’s Leg Warmers. One could easily whip up a pair of these in a day or two, depending on their spare time. While I don’t “love” them, I’m sure I’ll use them with boots, or even hidden under some wider leg jeans! September 24th marks the beginning of a knit along for Aidez, the gorgeous cardigan designed by Cirilia Rose, which resides at the top of my queue on Ravelry. A big thanks to Kelly at CelticCaston.com for initiating this much awaited project! 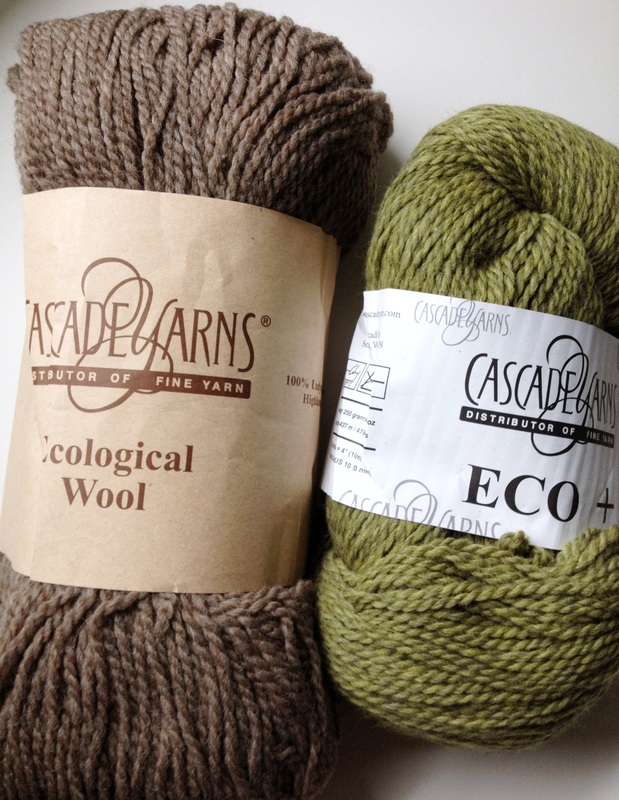 I had originally purchased a lovely green shade of Cascade Eco +, but it was bought on a whim and didn’t grab my heart as it should. Thankfully I found the perfect colour from a fellow knitter on Ravelry who had it up for sale. It’s more of a light brown stone colour, perfect to go with anything. Stayed tuned at Kelly’s blog for our progress. I hope to start some swatching on Saturday. Let the winding begin!